Ardea ciconia Linnaeus, 1758, Sweden. Two subspecies. 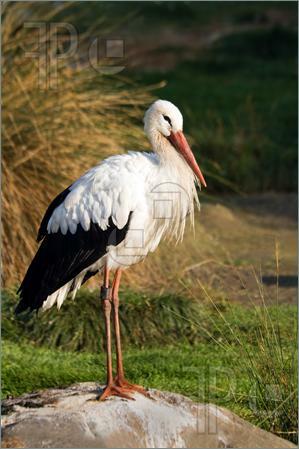 English: White stork; French: Cigogne blanche; German: Weisstorch; Spanish: Cigьeсa Blanca. Length 39–40 in (100–102 cm), wingspan 61–65 in (155–165cm); 5.1–9.7 lb (2.3–4.4 kg). 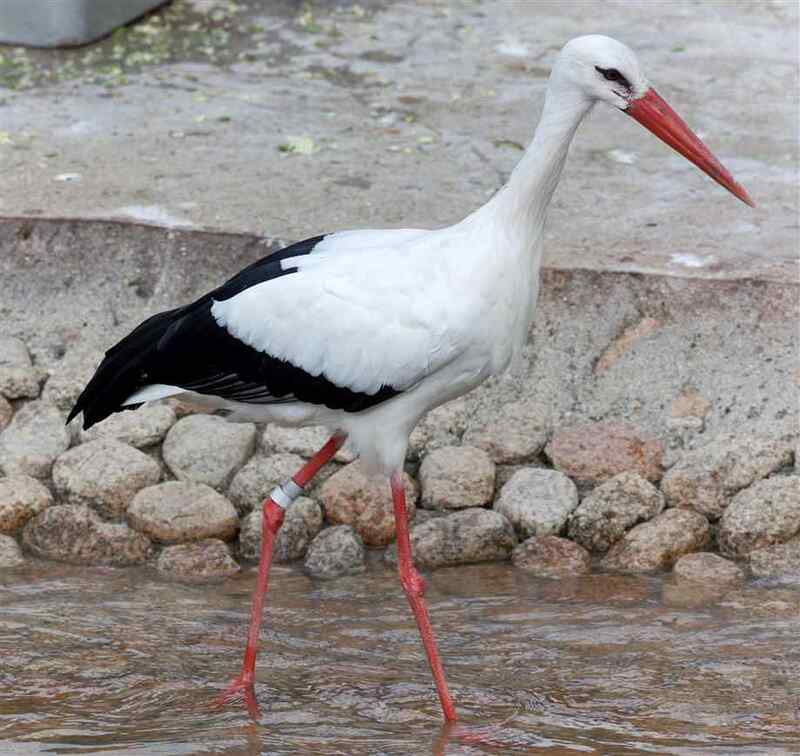 Mostly white with black on wings and red/orange bill and legs. 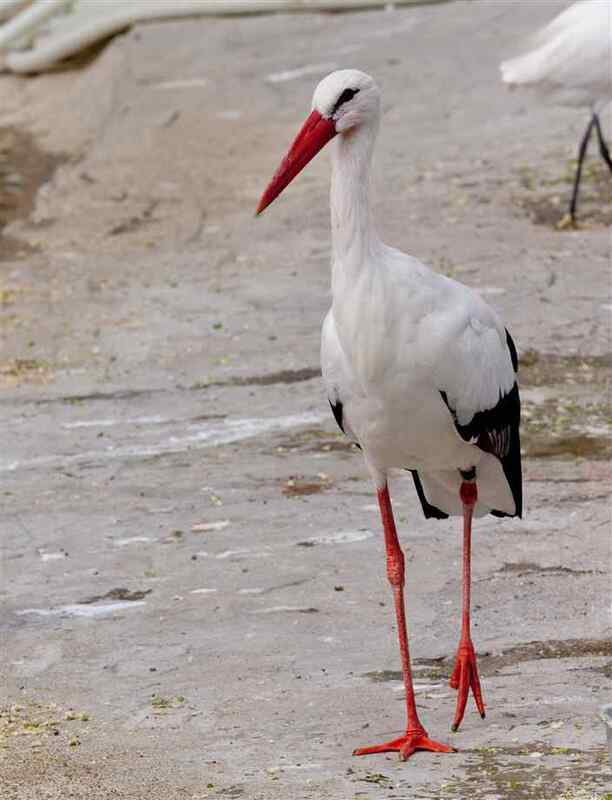 Summer breeding population in Europe and western Asia, wintering in tropical Africa and India. A resident population also in South Africa. Open spaces without tall and thick vegetation, frequently in or near wetlands. Will nest in towns and villages. 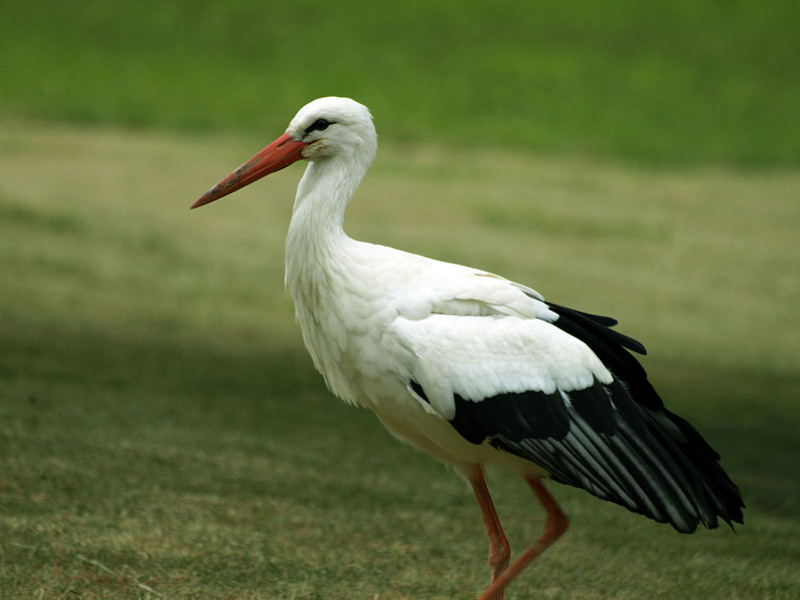 Less gregarious than other storks, but migrates in groups. Adept at soaring on thermals during long migrations along well-defined routes. Uses bill-clattering in displays. Varied diet of animal matter, from insects and earthworms, to lizards, snakes, and amphibians. Locates prey by sight. In temperate north, nesting starts between February and April. 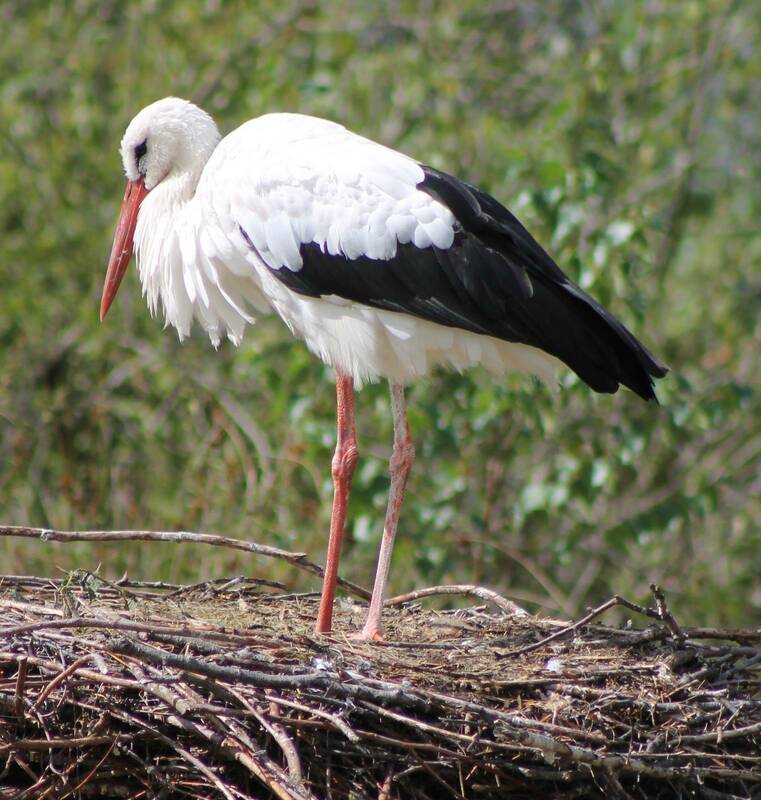 Nests are large constructions of sticks lined with a variety of soft natural or human-made objects located in trees or on suitably tall human-made structures. Loosely colonial, but may nest alone. Clutch size averages four eggs, incubation 33–34 days, fledging 58–64 days. Significant local declines in Western Europe, where it is Threatened. Declines linked to the reduction of swarms of locusts (an important source of food) in west African wintering grounds, and reduction of food-rich habitats in breeding areas as a result of the intensification of agriculture. Also threatened by hunting and collisions with power lines. Traditionally a popular bird, nesting on houses is welcomed as conferring good fortune and fertility to householders. Also some economic value as pest controllers.